Appy Kids drinks mission is to be the number one healthy drink for families and help them make healthier choices every day. With a range of low calorie fruit drinks in handy pouches with straws, adorned with kids favourite characters we were keen to try them out. When a child sees packaging in their favourite character they are always attracted to it, but at the end of the day it depends whether they like the taste or not. For me these drinks from Appy Kids look great, are well suited to on the go, out and about and travelling, are healthy but how did they fair in the taste test. Each drink is low calorie, has added vitamins and vegetarian society approved. I love the pouch style too as even when it’s empty it’s flat so if you can’t find a bin it’s simple to carry around. The verdict though lies with the children as if they won’t drink it there’s no point buying it. Miss M absolutely loved the Appy Kids Dora pouches which were Summer Fruits flavour and by far her favourite, Mister B liked the Paw Patrol Orange flavour or the Turtles Multi Fruit which shows there is a flavour for everyone. Overall we were really pleased with the Appy Kids range of drinks, they suited our needs, taste buds and at the end of the day I’m happy because I know that I’m giving my kids a healthy, low sugar, low calorie fruity drink that will cure their thirst without any added nasties in it. Definitely worth checking out, for us personally these are the ideal out and about option for drinks, great on a family day out or after swimming lessons, worth keeping one in your bag at all times! ChillFactor Drinking Bottle is a new style drinking bottle that instantly chills a drink and keeps it cold for up to two hours. Available in pink or blue, we tried the pink version out. The bottle is quite large and holds upto 600ml of liquid. It is not recommended for carbonated drinks but is perfect for water or squash, ideal for summertime! 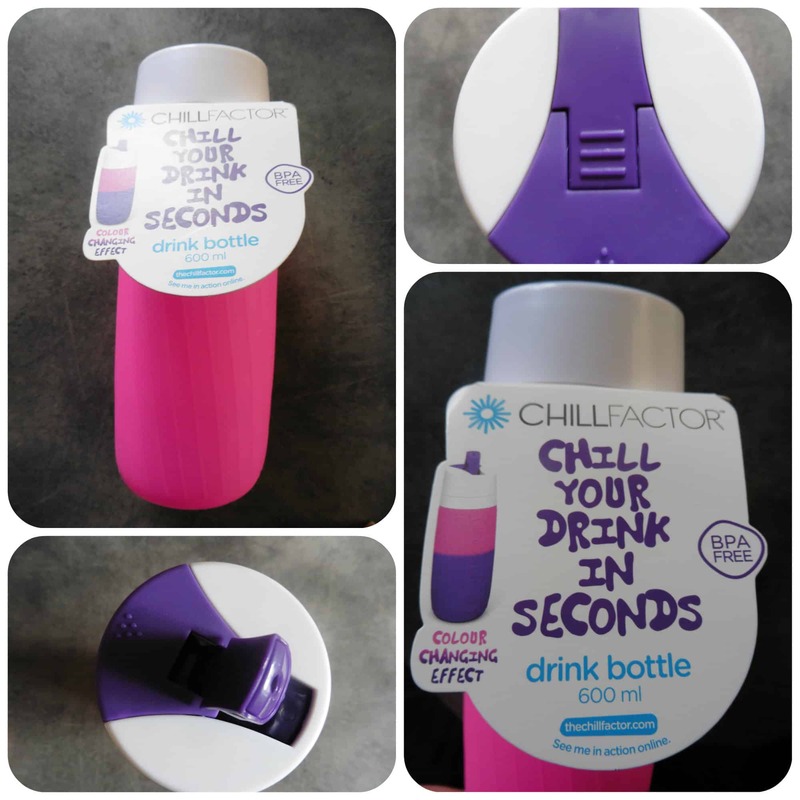 The ChillFactor Drink Bottle separates into several parts, an inner core which is quite thin and is the bit you need to put into the freezer. Being quite slimline it easily fits into a drawer in my freezer between other items. For best results you should keep it upright and freeze for 4-6 hours. There are also two ways of drinking through the bottle which was a bit of an attraction for Miss M. By lifting the lid on one side you could simply hold the bottle up and sip out of it. Alternatively you could pop up the other side and drink out of the straw. Once the inner part is chilled you need to put it back in the main body of the bottle then fill with your chosen drink. This is where the fun part starts – the outside of the bottle changes colour as the liquid cools down inside. 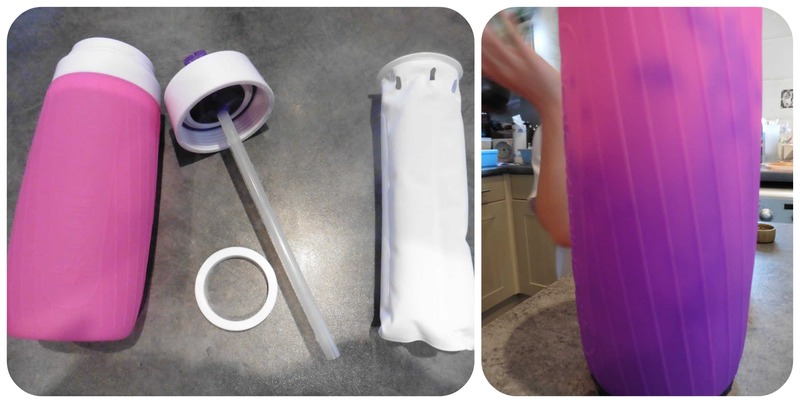 So in our case the bottle changed from pink to purple! What we love about this bottle is that the room temperature drink that we add to the bottle is instantly chilled and Miss M does like ice cold drinks. Also the funky changing coloured bottle appealed to Miss M and she loves drinking out of it. It has been used many times already and I see this as a great bottle to take out on long car journeys and days out over the summer! 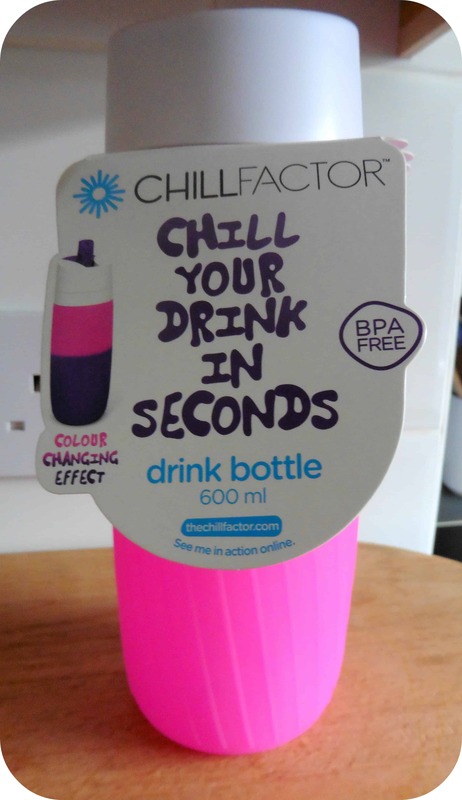 We’ve enjoyed using the ChillFactor Drink Bottle and think it’ll get lots of use. Why not try it out today for your summer adventures? 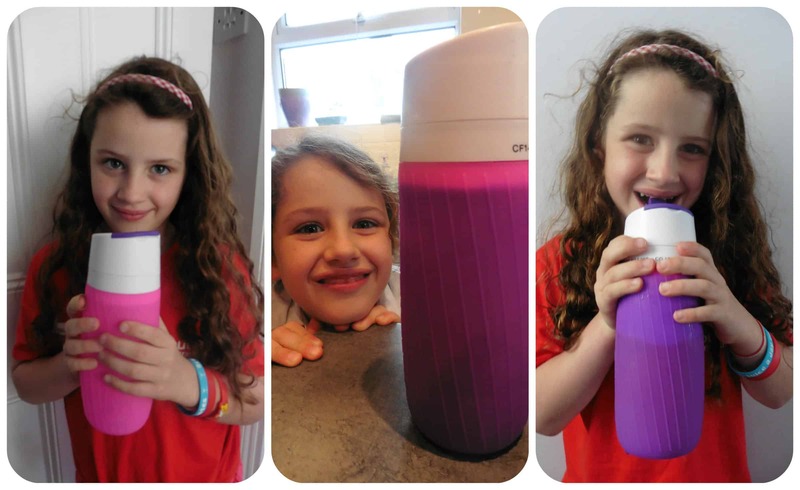 Also check out our review of the ChillFactor Slushy maker – another hit with Miss M! All reviews are my own and my family’s opinions and the ChillFactor bottle was sent to me in order to write the review.